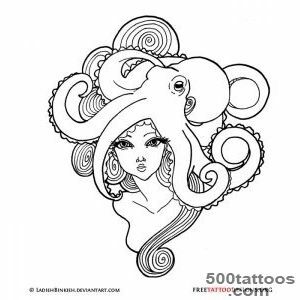 Octopus, the patron of the sea depths, overgrown with legends, causing horror and admiration. 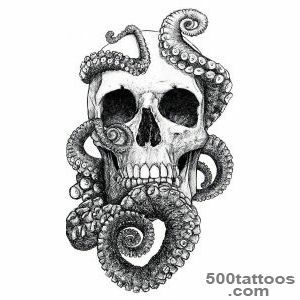 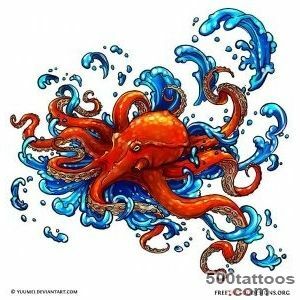 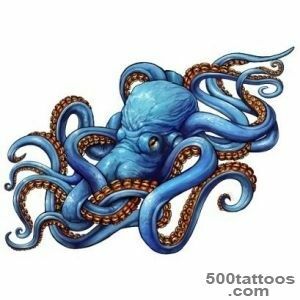 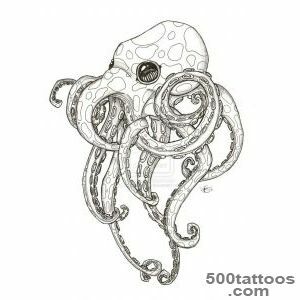 Fear of meeting with him and the horror of the impenetrable darkness arising from the ink cloud emitted frightened octopus made ​​marine animal symbol of the underworld and evil forces. 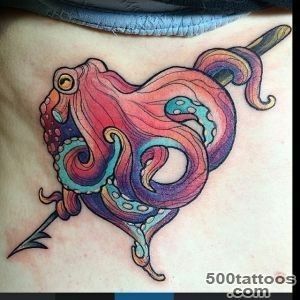 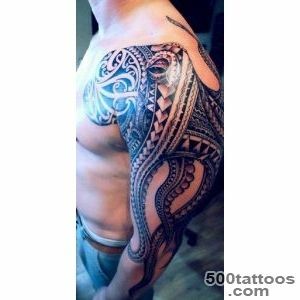 On the other hand, it represents immortality, thanks to three hearts.Octopus Tattoo meets sailors as protection from the sea of troubles and the evil eye. 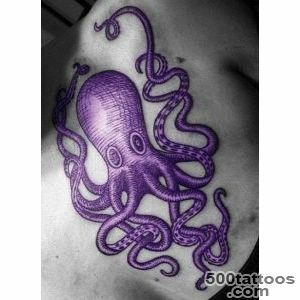 Now the form of an octopus like helicity reflects the time and therefore is associated with eternity, with the progress. 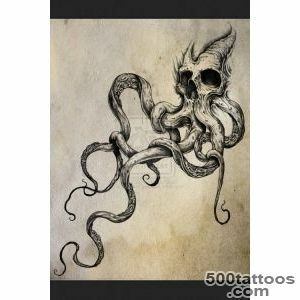 The famous Cthulhu, a deity, like the octopus symbolizes wisdom and power. 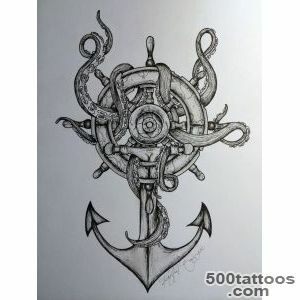 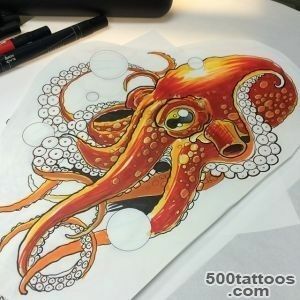 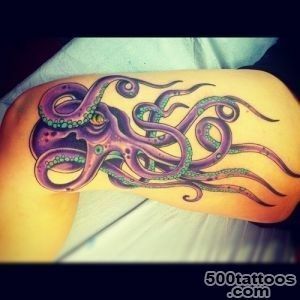 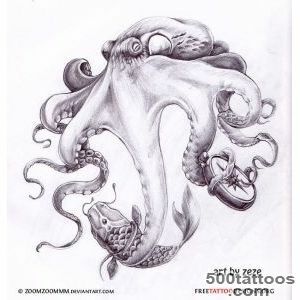 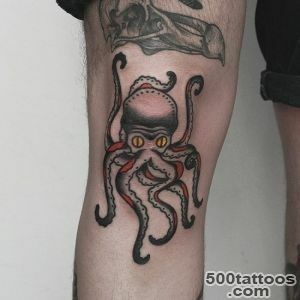 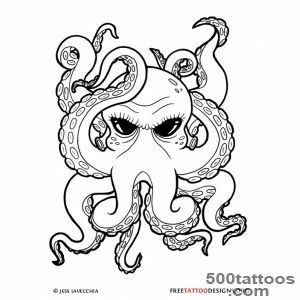 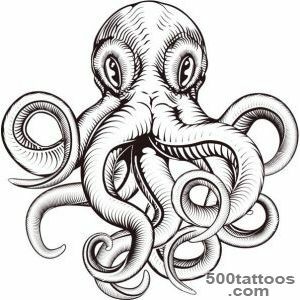 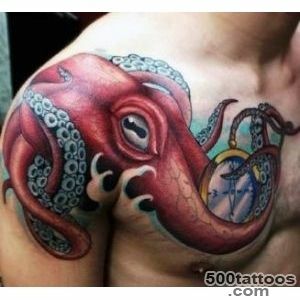 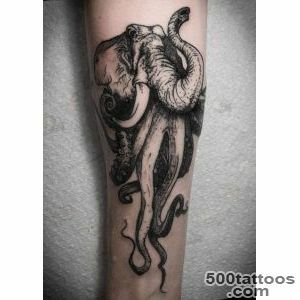 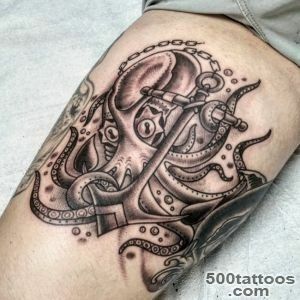 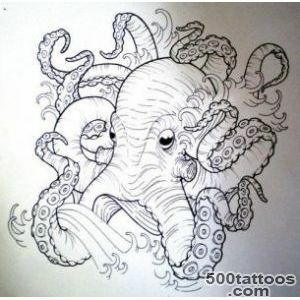 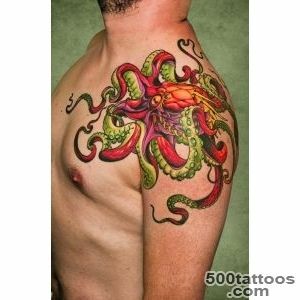 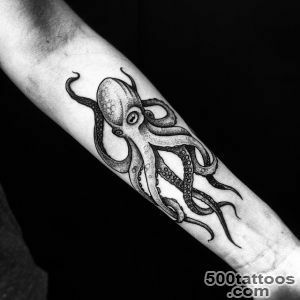 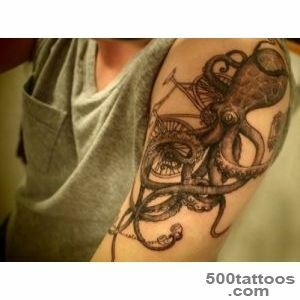 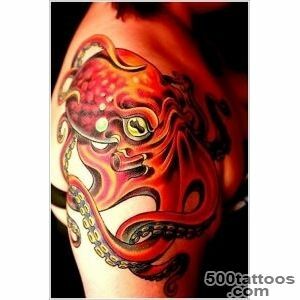 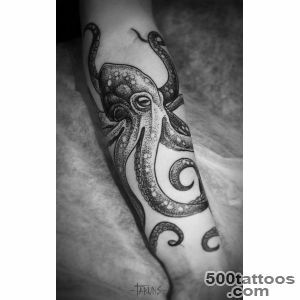 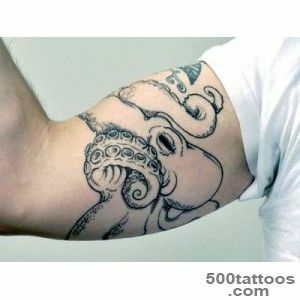 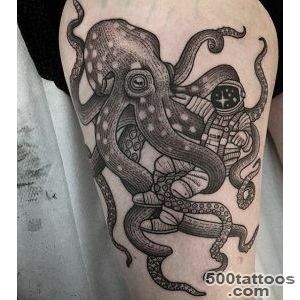 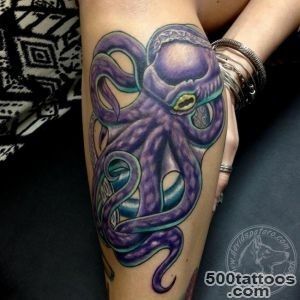 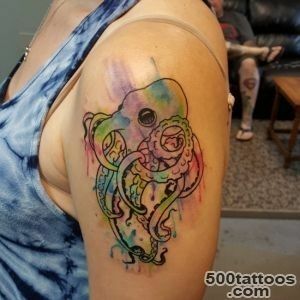 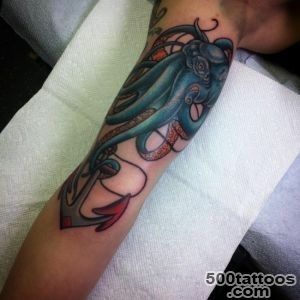 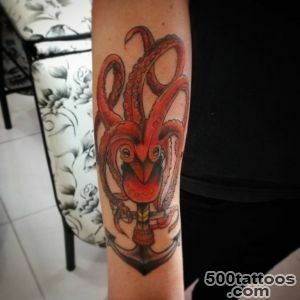 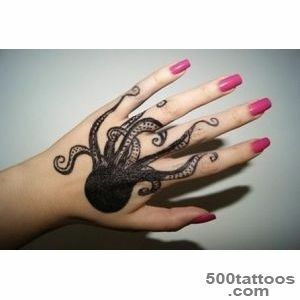 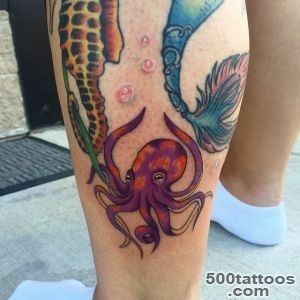 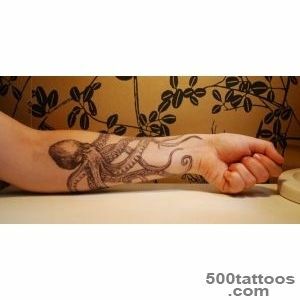 Octopus is not part of the tattoo,this is due to the fact that it is often identified with the forces of evil. 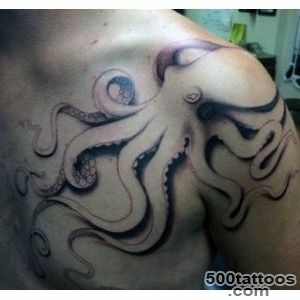 However, the octopus can be in the picture to give it the importance that you yourself put into it. 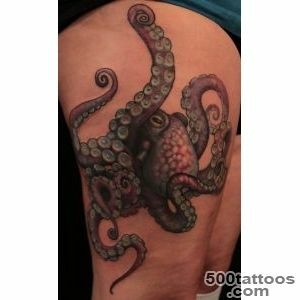 Octopus can be depicted as a terrible monster of the deep, or you can give it a positive connotation. 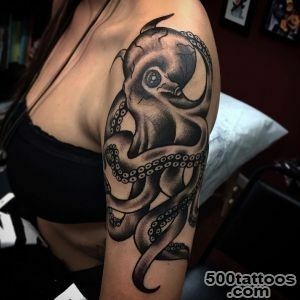 Octopuses often ascribed negative qualities, mainly due to the fact,that he is able to change its color and produce a cloud of ink in case of danger. 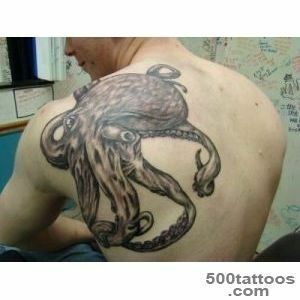 These qualities in a man may take the form of hypocrisy, the desire to avoid unpleasant situations. 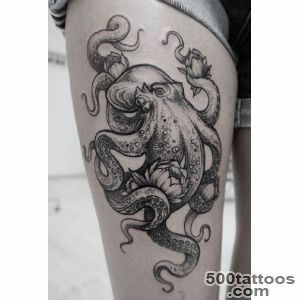 But it is also an octopus is one of the largest size of the brain, so he is credited with wisdom and originality of thought.Octopus often depict twisted into a spiral, it shows the spiral development of life, cycling. 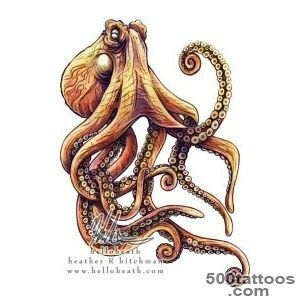 In addition, the spiral can mean astral travel. 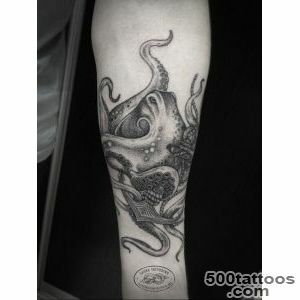 And thanks to the presence in the hearts of several octopus symbolizes immortality.